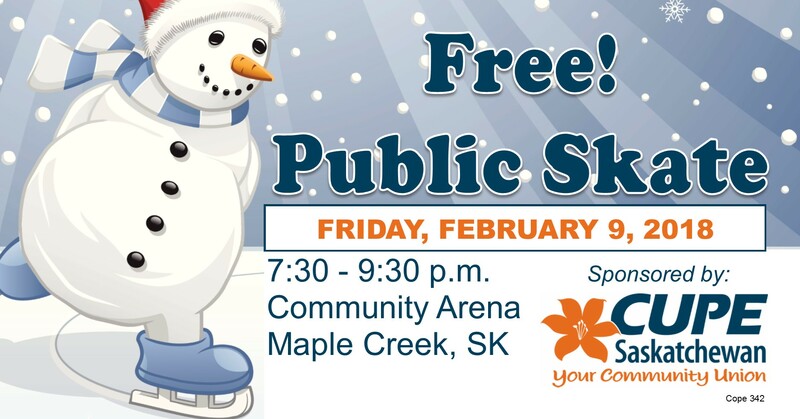 Join us for family fun on Friday, February 9, 2018 in Maple Creek, SK, for a free public skate sponsored by CUPE Saskatchewan – Your Community Union. Everyone is welcome! The Public Skate is from 7:30 – 9:30 p.m. on Friday, February 9, 2018 at the Maple Creek Community Arena (505 Claustre Ave).